Why is there need for complementary education in Nepal? According to the United Nations, Nepal is one of the least developed countries in Asia. Access to education is not always customary and the low literacy rate remains an obstacle to economic progress. As a result, one of the main problems with children is the lack of financial and social skills needed to build an independent life. Together with our partners, the Umbrella Foundation, Himalayan Children’s Charity (HCC) and in future also Volunteer Society Nepal (VSN), in Kathmandu, StartUp4kids offers children the social and financial education programs Aflatoun (6-14 years) & Aflateen (14+) to give these children extra chances for a better future. In the years following, we would like to yearly double our reach in Nepal. Kyle Mohamed from the Umbrella Foundation is the coordinator of all projects in Nepal. Trainers and their assistants are trained as Aflatoun/Aflateen trainer by CWIN. CWIN is an organization in Nepal that employs Aflatoun/Aflateen master trainers and therefore can train our trainers. These trainers exchange lessons in pairs, so there is always enough guidance. Want to know more? 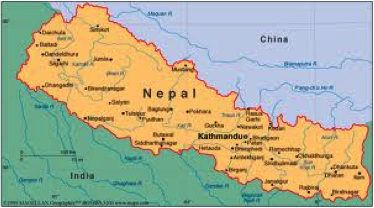 Contact the one who is responsible for our project in Nepal: Sofie Bartels: sofie@startup4kids.nl.